Orthotic shoe inserts can be used to treat all sorts of issues affecting the feet and ankles, and even the knees and lower back. 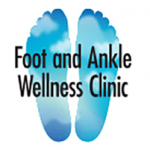 At Foot and Ankle Wellness Clinic, Dr. Mancherian provides patients in Los Angeles and Glendale, California with the highest-quality custom orthotics for pain relief and a wide array of other symptoms. Prescription orthotics are special shoe inserts that are custom-designed for an individual patient and are used to help treat or prevent certain conditions that affect the feet and ankles, including issues affecting gait (the way a person walks) and balance. Why are prescription orthotics better than the shoe inserts available in the drugstore? Foot shape can vary widely from one person to another, and many types of foot- and ankle-related issues require a custom approach to achieve the best results. Prescription orthotics are designed on a patient-by-patient basis, so they are extremely effective in treating and preventing a wide array of issues. Over-the-counter shoe inserts are designed for the general population based on very broad design concepts that ignore individual foot shape, gait mechanics, medical concerns and other factors. As a result, they are not nearly as effective in providing relief, and they can even make some problems worse or, at best, they can delay treatment of the underlying cause of symptoms. Custom orthotics also used superior materials for a durable product that’s designed to last for long periods of time. And finally, because over-the-counter orthotics must be replaced on a regular basis as they become worn out, they are usually a more costly option compared to custom orthotics, which are covered by most insurance plans. What kinds of issues can custom orthotics treat? Custom orthotics can be designed to treat an array of issues, including calluses, bunions, hammertoes, plantar fasciitis, neuromas, heel spurs, arch problems, unstable ankles, arthritis and issues affecting gait and balance. Each prescription orthotic is custom crafted using highly-detailed measurements and other information that are unique to each person. Custom orthotics are created in special facilities using high-tech design techniques and technology for superior results based on the unique needs of each patient. Dr. Mancherian routinely prescribes custom orthotics using Sole Supports, because she believes they are the most progressive and innovative custom orthotics available today.